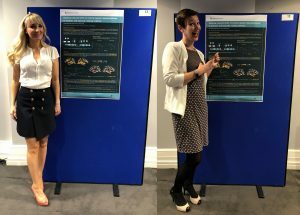 We have recently presented the findings of project Leeswinst in the SIG22 Neuroscience and Education conference in London in June and Flux: The Society for Developmental Cognitive Neuroscience meeting in Berlin in September. Our preliminary findings show that parts of the brain that we use for speech perception were less active in dyslexic children, while brain regions typically associated with more effortful, letter-by-letter reading were more active compared to typically reading children. The findings were well received and gave us new ideas on how to further analyse and present our fascinating data.